Rectangular tables are very often used in restaurants against the wall. When you place them against the wall, you save space. 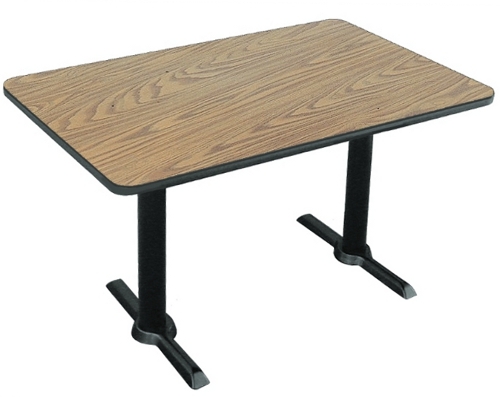 This table features a high pressure laminate top with black edge mold. 30 x 42 w/ Cross Base Weight 70 lbs. 30 x 48 w/ Cross Base Weight 76 lbs. 30 x 48 w/ 2 T Bases Weight 84 lbs. 30 x 60 w/ 2 T Bases Weight 96 lbs.